Over the past several months, global awareness has heightened about the potential for the spread of the Ebola virus. Public health policies regarding blood donor screening are evolving and not yet finalized. Also being considered are the unique issues related to umbilical cord blood donation and banking. 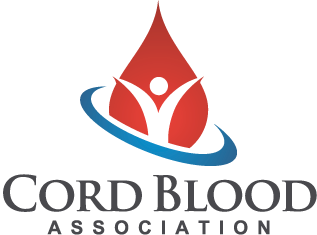 To this end, the Cord Blood Association (CBA) has developed interim guidelines to inform cord blood banks about screening procedures to protect the safety of donors, health care workers, laboratory staff and recipients, alike. First, the cord blood product must not be at risk for passing the Ebola virus to a transplant recipient. Second, cord blood bank and hospital staff collecting, transporting and processing cord blood samples must be protected from inadvertent exposure to the Ebola virus. While transmission of the Ebola virus is thought to occur through direct contact with body fluids from a person symptomatic with the disease, it is not known whether there is a silent period of viral replication or whether vertical transmission from mother to fetus can occur. Infected babies have been born to mothers with active Ebola, but the route of infection is not known. The virus has been found in breast milk produced by infected mothers. It also might be possible for cord blood to contain the Ebola virus before the mother of the baby became symptomatic. To ensure protection of cord blood products and of staff working in the field of cord blood banking, the following precautions are recommended until more is known about Ebola transmission during pregnancy and also until more formal recommendations are issued by FDA and other public health and regulatory agencies. All health care workers should always observe universal precautions when working with potential donors and when collecting cord blood or maternal samples. Each health care worker should consider, as an independent act, the possibility that a maternal donor was exposed to Ebola. Don’t rely on others to have screened before you. Recent travel to Africa by the maternal donor or other members of her household. Any potential exposure of the mother to a person with Ebola or someone in quarantine for an exposure to Ebola. Any symptoms in the mother that could be indicative of Ebola. Have you ever been diagnosed with Ebola? Have you traveled to Africa during this pregnancy? Has anyone in your household or anyone close to you traveled to Africa in the past two months? Have you been exposed to anyone with Ebola? Have you been exposed to anyone on quarantine because they were exposed to Ebola? Have you been exposed to anyone who has been exposed to Ebola? If the answer to any of these questions is “YES”, the cord blood should not be collected and maternal samples should not be obtained. If a cord blood or maternal sample is collected and, in retrospect, information is obtained indicating that the mother is at risk for Ebola, the samples should be quarantined until the outcome of the mother is known. If a cord blood or maternal sample is collected and later, within three weeks of the delivery, the mother is diagnosed with Ebola, hospital infection control should be notified immediately and the cord blood/maternal samples discarded according to the hospital’s procedure for handling potentially contaminated samples. If there are no procedures at the cord blood bank to handle contaminated waste, the CDC or other local health authorities should be consulted for assistance in proper decontamination and handling of these biological materials. These interim guidelines and the example questions for the maternal questionnaire are intentionally broad and conservative to reduce the margin for possible error. For example, the question about travel refers to “Africa” rather than specific countries such as Guinea, Sierra Leone and Liberia in West Africa because many collectors and screeners of potential cord blood donors may not know African geography well or the currently affected countries. Similarly, the question asks about travel within the past two months, rather than the 28 days believed to be the maximum incubation period, because potential cord blood donors might have imprecise memory or be casual about timeframes. The questionnaire also asks about exposure to infected patients during the entire term of pregnancy because insufficient data exist to rule out pre-symptomatic replication of the virus and transmission from mother to fetus. The main intent of this communication is to raise awareness about the possibility of transmission of Ebola through cord blood. Individual cord blood banks are encouraged to create their own internal SOPs regarding screening for Ebola to protect donors, patients, hospital and cord blood collection and processing staff from exposure to the virus. As more is learned, it is likely these interim guidelines related to cord blood donation and banking will be revised and formalized.